FinTech’s rise over the last few years has completely changed the way we all do business. And while Brexit has led to uncertainty across many sectors, it looks like it will continue to thrive, evolve and change. FinTech is moulding how we work, live and play and our banking, consumer and business preferences are driving the changes. The symbiotic nature of FinTech makes it the most exciting business revolution since the Industrial Revolution. Which brings us neatly to Manchester, a clear front runner when it comes to FinTech investment outside of London. ‘Manchester has always been at the heart of great changes in science, technology and innovation. The Industrial Revolution has its roots in Manchester and the city’s drive for creativity, entrepreneurship and technology has led to advances ranging from splitting the atom to the first stored computer programme,’ says Phillip. 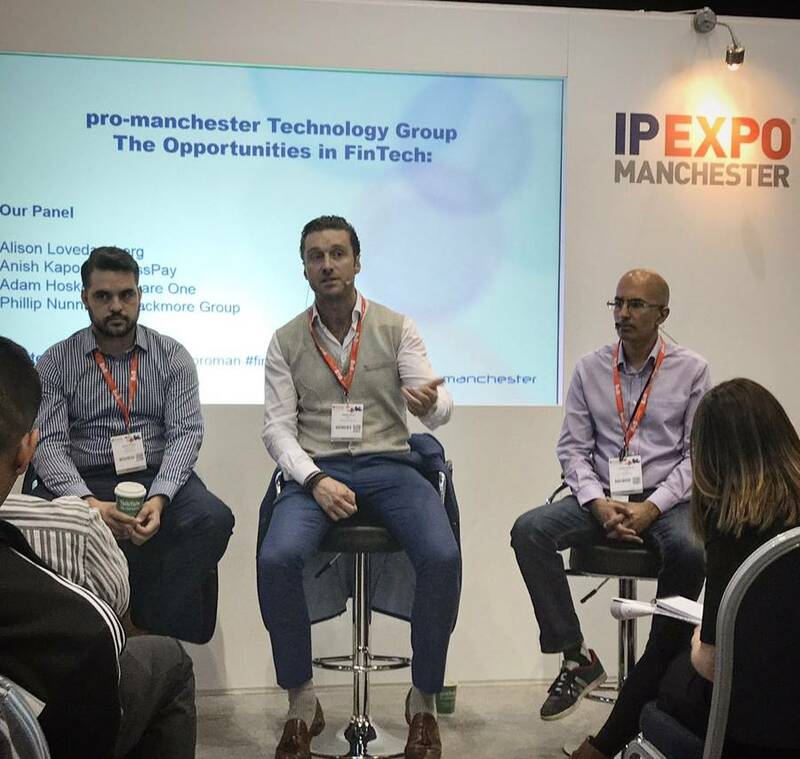 A report from FinTech Global named Manchester as a vital city in the rise of FinTech in the UK between 2014 and 2016. During these years, 107 FinTech investments were made outside of London, with Manchester leading the pack. The report showed that Manchester completed 13 FinTech deals ahead of Cambridge and Edinburgh who came in third and fourth. Notable deals include peer-to-peer finance platform MarketInvoice, which secured more than £23m from MCI Capital, Northzone and the British Business Bank; online invoice factoring company DueCourse, which raised more than £6m from the Global Founders Fund and angel investors in 2016 and Beyond Comparison, a different kind of comparison software provider raised £200,000 from Maven Capital Partners in 2016. Since Brexit there has been a fall in investments overall, but the outlook for the wider UK market remains positive. ‘FinTech Global says that lots of start-ups will begin to look outside of London at least for the first stages of development, as we have at Blackmore in the thriving North West.’ The trend so far tends to lean towards start-ups moving to London in the second stage of their growth. But as Manchester is the largest financial services hub outside of the capital it should be assumed that many will also stay, particularly if they are supported while getting up and running. There was a decline in overall UK FinTech investments in 2016 of 15.4 % (down from £1,113m in 2015 to £941m in 2016. The decline has been put down to the concerns that surround Brexit, but when the 2014 figure of £622m is compared with 2016, there’s a very clear indication that FinTech investment remains strong in the UK. Manchester boasts several hubs for innovation within the FinTech industry, such as RISE Manchester and the XYZ development. These are designed specifically for hothousing ideas and working collaboratively. Smaller FinTech start-ups can network, pitch ideas and target leads. The University of Manchester is listed as the top higher education establishment in the UK for students who want to work in FinTech. It’s exactly this kind of attitude and availability of investment, talent and collaborations that led to companies like AccessPay relocating their offices to Manchester in 2014. Since then they have grown their secure, efficient automated payment platform thanks to the talent and collaborative investment available on their doorstep. ‘Just two examples of how FinTech has changed business so far can be seen with crowdsourcing and money transferrals around the world,’ says Phillip. ‘Crowdsourcing has become so familiar to most people that its innovative credentials can be forgotten. But it’s a revolutionary way for entrepreneurs to reach funding goals in a short amount of time. Anyone with a sound idea, the drive to make it happen and the talent to back it up can communicate directly with investors over the internet. Communicating directly with potential investors cuts the red tape to investment. Successful pitches also receive the money much faster than they would with traditional investment, freeing them up to start putting their potentially ground-breaking ideas into practice. ‘Similarly, transferring money across borders has been a traditional headache for small companies and entrepreneurs. Now it’s as simple and speedy as any other transaction with Transferwise. It’s revolutionised the way money is transferred, making it faster and, crucially, cheaper. Take smartphone use, which has changed customer behaviour in every sector. We’re always online, giving unprecedented access to goods, services, information and data. We can do our banking while waiting for a bus, check our investments on the train, buy our groceries in ten minutes online. All of these easy access apps and services have changed attitudes in a fundamental way. Investors and entrepreneurs and companies want to be able to do business in the same slick, accessible way, leading to the demand for FinTech for every service.